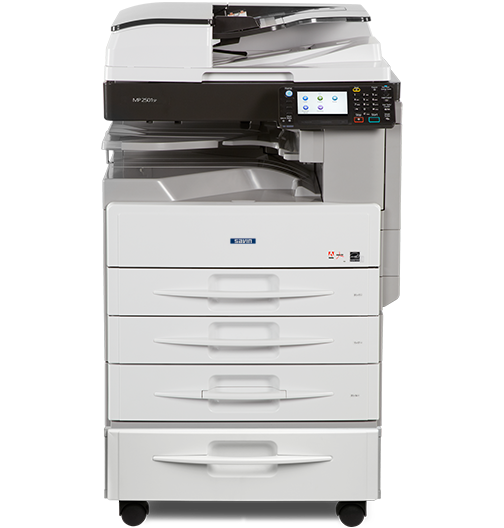 Choose the Savin MP 2501SP for fast, dependable and affordable multifunction performance to streamline document-related workflow and lower your total cost of ownership. 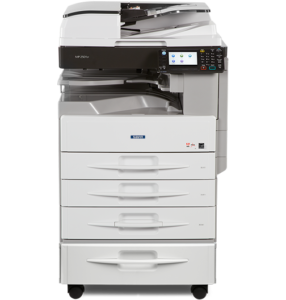 This space-saving and innovative MFP combines quality printing and copying on media up to 11″ x 17″, easy-to-use scanning capabilities, optional faxing and advanced security features. For small offices, use it as your primary system, or deploy it as an integral part of a Savin Managed Document Services (MDS) strategy and improve productivity for small workgroups throughout your organization.